To cash in on Chris Barber´s hit record on the Pye label, Delta-Ton coupled the same two songs together. 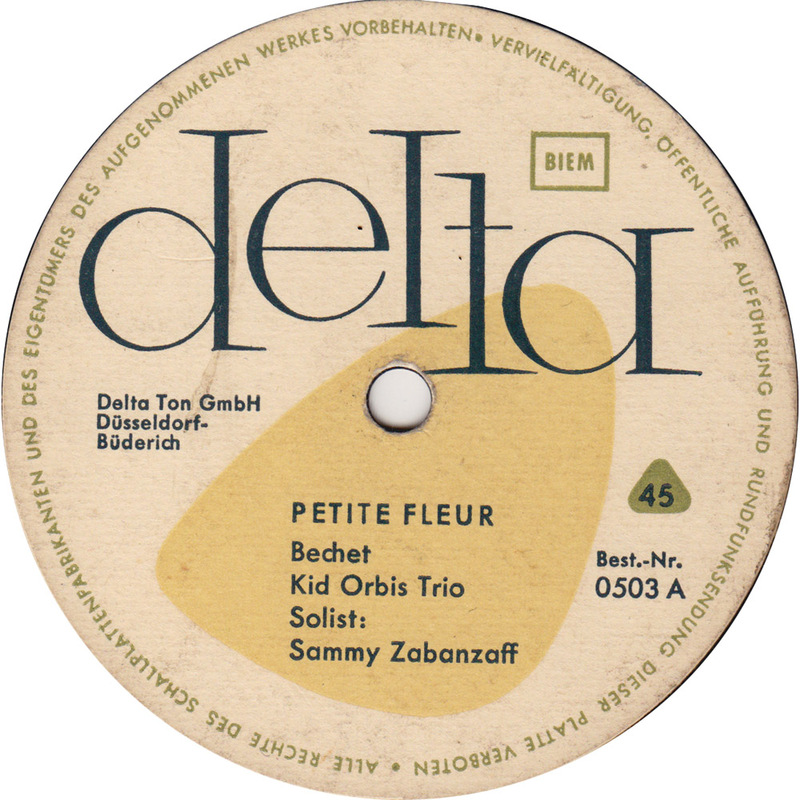 Petite Fleur, originally recorded by Sidney Bechet in Paris in 1952, was covered by Chris Barber three years later. After initially failing to chart, Pye released the record again in 1959. Although Chris Barber´s version lacked the intensity and passion of Sidney Bechet´s original it sold more than one million records in the US and ten million copies word wide. Wild Cat Blues was written by Fats Waller and Clarence Williams in 1923. Now who is Sammy Zabanzaff ? I have an idea who is Sammy Zabanzaff. Just listen to the vibrato. It must be somebody who imitates Sidney Bechet quite well or it´s Sidney Bechet himself (maybe on a bad day, maybe not quite happy with the result so he wouldn´t give his name, maybe angry about his record company). Popably a worn idea – but somehow exiting. The only exiting thing about this record is the flexible material it was pressed on. But the name is great. Sammy Zabanzaff! Sounds like a name right out of a gangster movie when his real was probably something like Herbert Zwickelgruber.